How are today’s journalists finding new ways to engage the audience they once took for granted? Jake Batsell has spent the past two years visiting innovative news organizations that are experimenting with new methods to connect with – and yes, monetize – their readers, viewers, and digital users. Batsell, an assistant professor of journalism at Southern Methodist University and a visiting research fellow at The Texas Tribune, conducted interviews with more than 100 journalists across the United States and United Kingdom for his forthcoming book, Engaged Journalism: Connecting With Digitally Empowered News Audiences. The goal is to demonstrate that, at a time when news organizations are losing agenda-setting power, journalists can still thrive by earning their audience's attention through a combination of online technology and personal interaction. 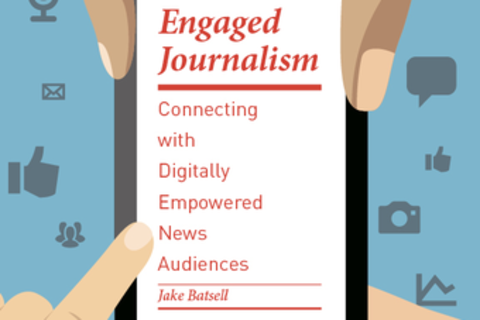 Jake Batsell is an assistant professor of journalism at Southern Methodist University in Dallas, where he teaches digital journalism and media entrepreneurship. His research focuses on audience engagement, media convergence, and the business of digital news. He previously worked as a staff writer for The Seattle Times and The Dallas Morning News.